Below is a selection of amazing thank you's from some of the families and individuals who have received one of our packages. ​The bear I ordered for my step mum is BEAUTIFUL. 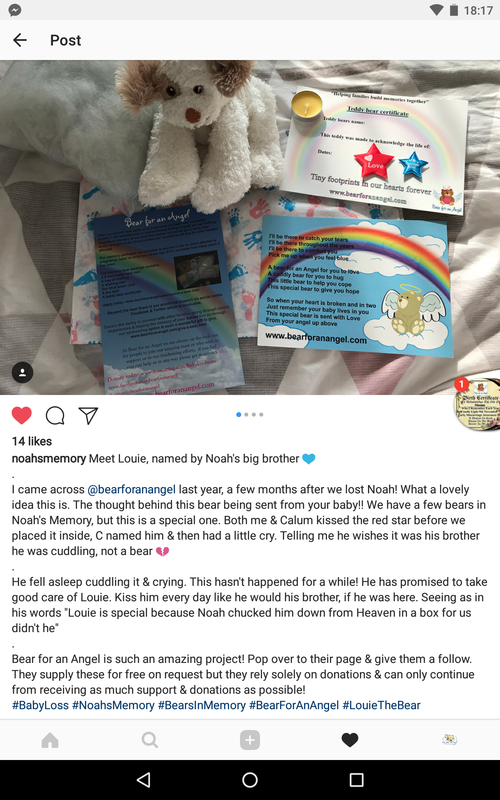 bear for an angel is amazing. Thank you. ​Thank you so much for my bear. I have put my daughters ashes in and I can now take her to bed with me every night  such a comfort. ​Thank you so much! I'm over the moon with my little ones bear and certificate! means a lot to me  . My boyfriend helped me make her. ​Thank you so much !!!!! This means the world to us, you guys are amazing. 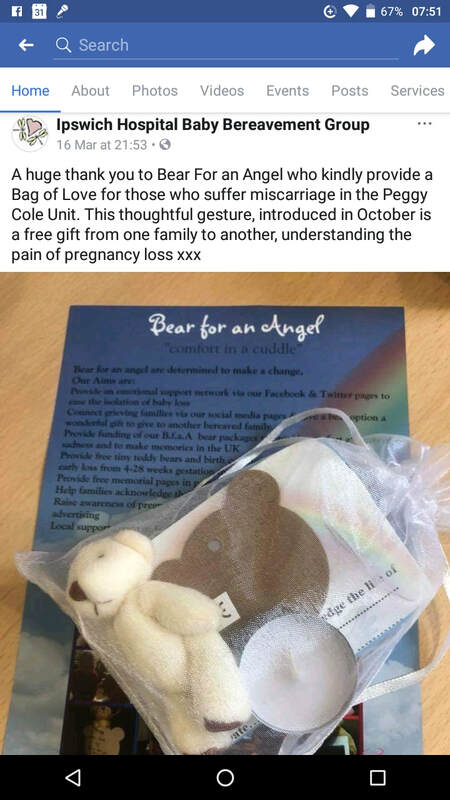 ​Thank you all soo very much, by beautiful angel bear arrived today. ​I have received my bear today, it is beautiful. My rainbow baby loved it soo much he took it to bed so he could cuddle into it . ​Thank you so much !! Now I feel like he will be more a part of our family !! I can hang his certificate of life with our other family photos !!! I would just like to thank you for our Cai bear. Although we have had him for some time now you really have no idea how much of a comfort he is. I cannot explain how much I love our bear, which to some may seen so stupid but to me he is part of my son, when I hold him I am close to Cai and that is something so so precious. He comes everywhere with us and we always document his outings, I suppose its our way of including Cai in our lives, strange? Maybe to some but not to us.